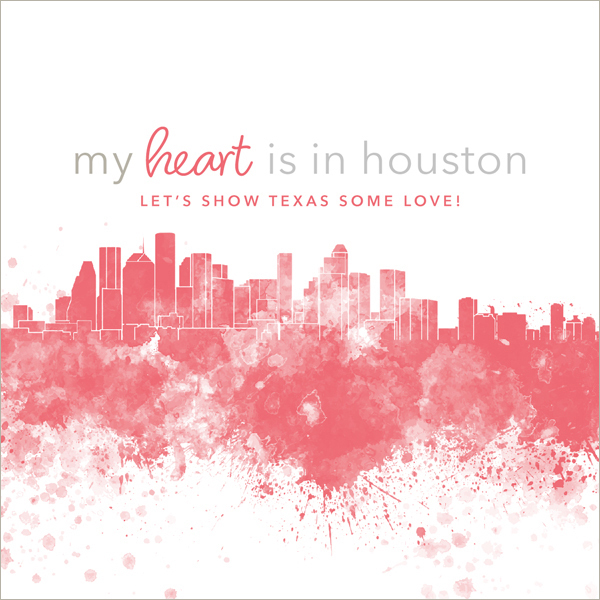 My sweet friend and native Houstonian is turning 40 today and has put together a fantastic list of places to help the people of Texas. As a thank you to all who donate, she has coordinated a wonderful giveaway from many women and small businesses in the creative community. I love her heart and I also love Texas. Texas is a place that quite literally changed my life in the late 80s because that is where I met my husband. Enough about me! Please visit her blog today to learn more about how you can help and how you can enter for a chance to win some amazing stuff! Happy birthday, Steph! You sure know how to celebrate in a meaningful way. Thank you for sharing! I just donated through the Amazon link. What an AWESOME way to contribute, besides all the prayers lifted for this beloved city. Thank you, Omarya! Every bit helps! Thank you for sharing this, Cathy. And a beautiful card, I might add! My first donation went to the Houston Community Foundation. We plan to continue our support in any way we can, including prayers! Thank you so much for sharing this. It is nice to have a list of places that can help using my financial gift. What a wonderful thing for her to do for her birthday! What a great thing you are all doing, I just donated through one of the Amazon links. Prayers for all suffering. Thank you Cathy for sharing Stephanie’s post and participating. Love the links she provided. I also love the picture you designed. I ran through the prizes with the hope that a print of it was a prize. Not that I ever win or care of i win this time. Okay I always hope I do but know not to hold my breath. Would love a job or pdf of the print. Kidney Dialysis: how will you enjoy life in spite of Kidney Dialysis?